Home to a rich tradition of buildings constructed in earth, Southern Morocco is an important center of Berber culture and architecture with over 4,000 historic earthen settlements, known as Ksours or Kasbahs. Its spectacular landscapes and earthen buildings have been the settings for numerous film and television productions over the years including Lawrence of Arabia, Gladiator, and most recently Game of Thrones. These magnificent earthen fortifications and villages are a testament to the region’s rich culture and history, and have drawn explorers and tourists to the area for centuries. While some important sites have been protected and preserved, the vast majority are threatened by obsolescence and abandonment which leads to gradual deterioration and, ultimately, collapse. Unfortunately, many of these magnificent earthen fortifications and villages are deteriorating and threatened with abandonment. 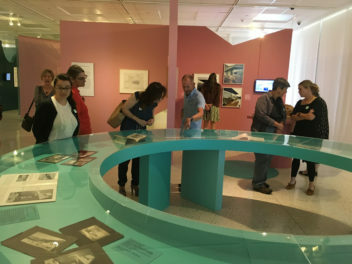 This is due in part to changes in the economic and social structures that supported them, as well as uncontrolled urban development. 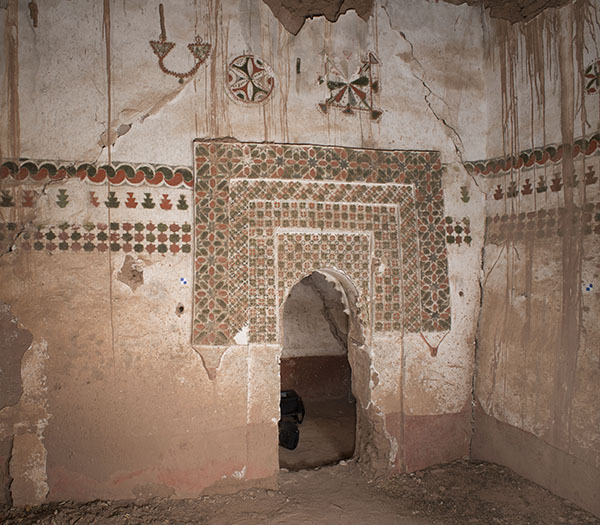 The Getty Conservation Institute is working with CERKAS (Centre de Conservation et de Réhabilation du Patrimoine Architectural des zones atlasiques et subatlasiques) to preserve one of the most important sites in the region—the fortified Kasbah Taourirt. The oasis village of Taourirt, dating from the 16th century, was strategically located at the intersection of major trans-Saharan trade routes that once brought spices, gold, and other goods across the Sahara from Timbuktou to the rich imperial cities of Morocco. It is now embedded within the modern city of Ouarzazate. Located at its core, the Kasbah Taourirt, a registered national monument, was originally one of the residences of the Glaoua Caid, a powerful family that ruled the region during the late 19th and early 20th centuries. This impressive complex of buildings features castle-like defensive walls and rich traditional Berber designs including carved plasterwork, decorative ceilings, and mural paintings. 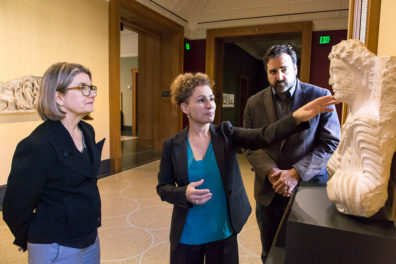 The Getty Conservation Institute has been collaborating with CERKAS since 2011 on a conservation and rehabilitation plan for the site, which can serve as a model for similar sites in the region. During fieldwork in the month of May, staff and graduate students from Carleton University in Canada, who are training CERKAS staff in surveying techniques, returned to work with the Institute’s team. Training and capacity building are important components of this project. 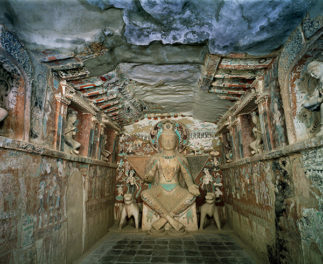 The project team also includes experts in the conservation of wall paintings who are working within the Residence of the Caid. These rooms feature traditional patterns and motifs that are incised onto plaster and painted with bright colors. Bat infestation and the failure of the roof have contributed to the deterioration of the wall paintings. Conservators are working with CERKAS staff to carefully document the current condition of the paintings and to develop treatments that can be implemented during the restoration of the building. Conserving the Kasbah demands a multidisciplinary approach that addresses economic, social, cultural, and technical challenges. An important component of the project is to facilitate discussions between CERKAS, the municipality of Ouarzazate, community groups, governmental organizations, and non-governmental organizations about issues and opportunities presented by the site, with the objective of arriving at a common vision for Kasbah Taourirt’s future use. 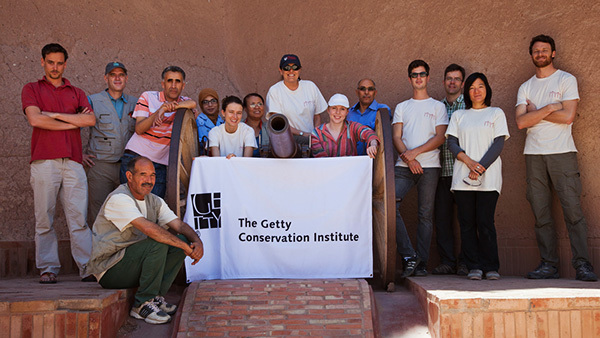 The Getty Conservation Institute will be back in Morocco in October 2014 to continue working on this important project. Stay tuned!